And just like that, my plans for Sunday morning took a dramatic turn. 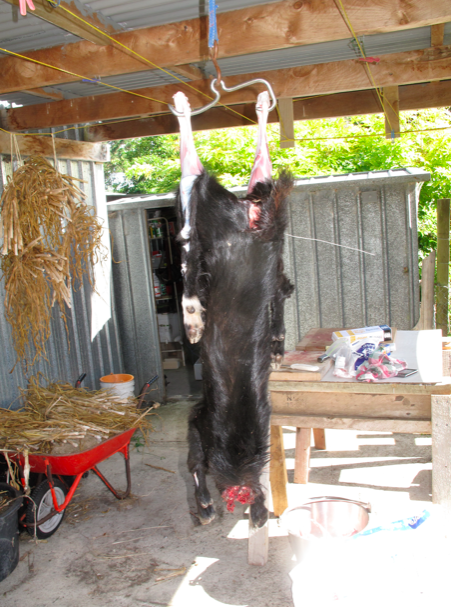 Goats are considered a pest in New Zealand and hunting is seen to be good for the native ecology. 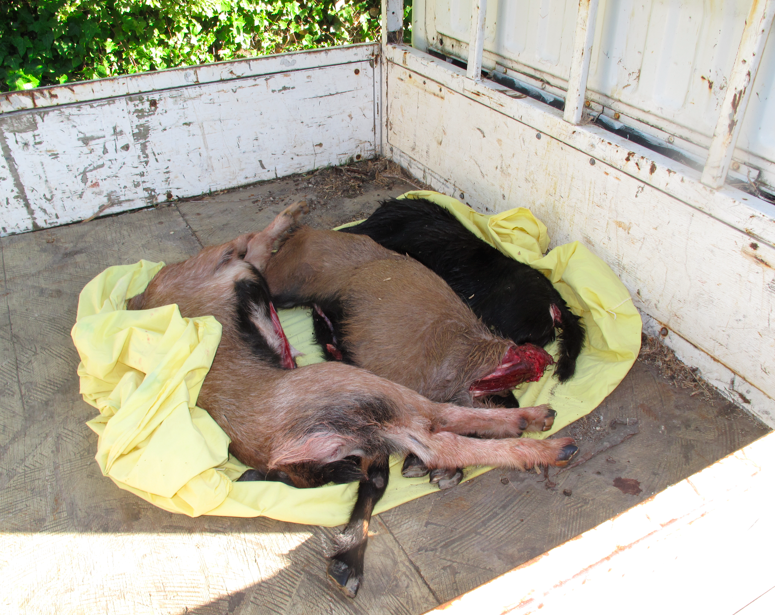 Eating the meat is a good use of the carcass. 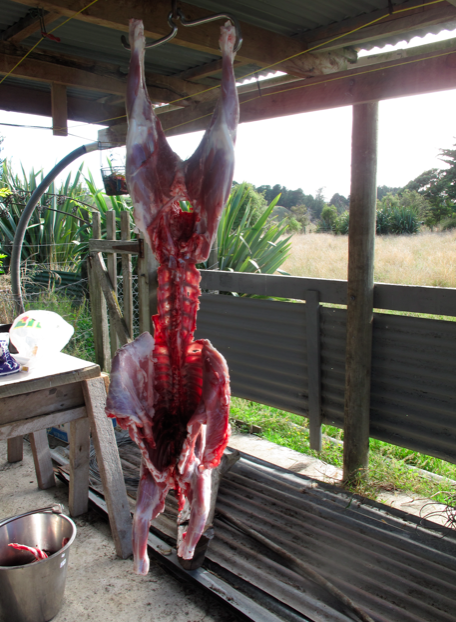 Although the carcass is actually very lean on a ‘wild’ animal. 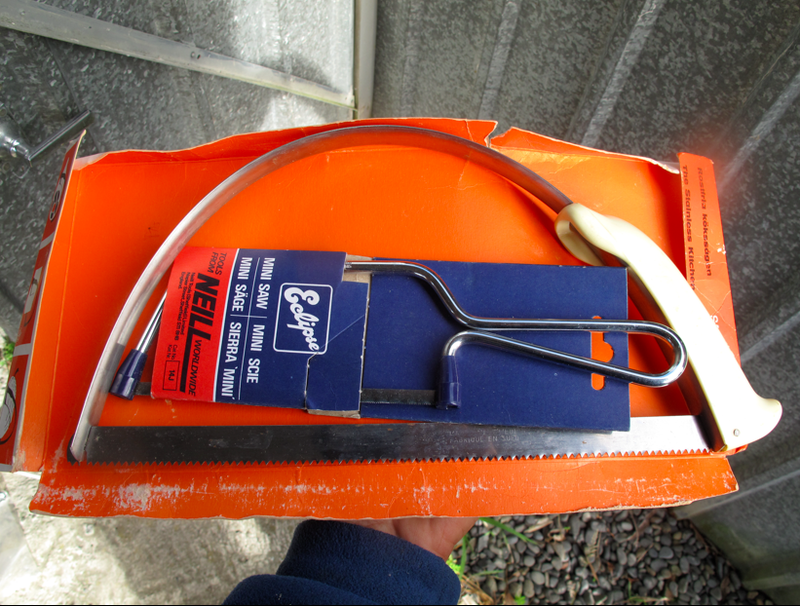 This meat saw I got at the auction came in very handy. 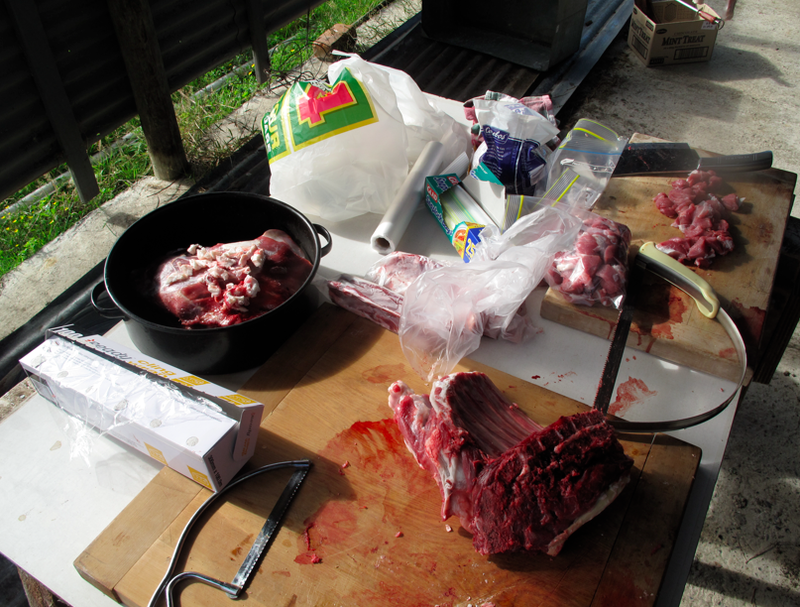 Simon was a master at butchering the meat. 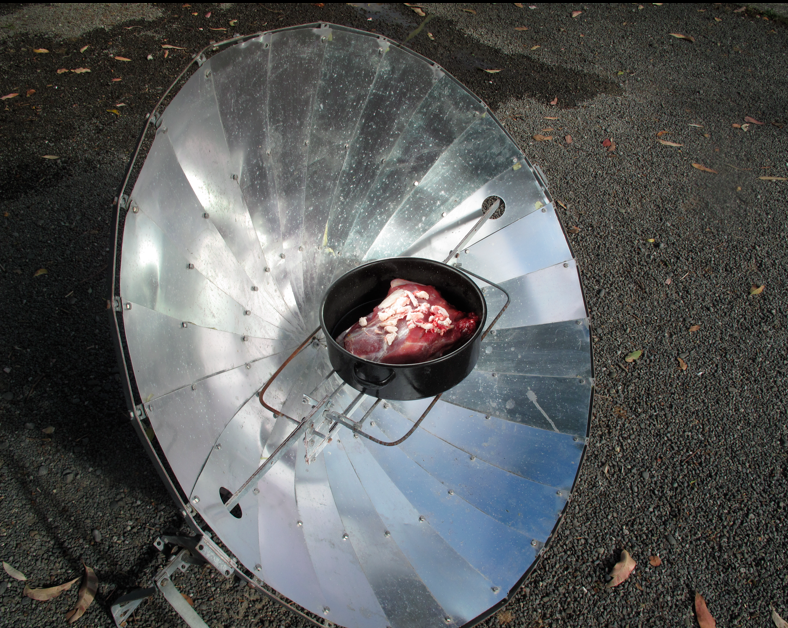 We got a roast on the solar cooker straight away. 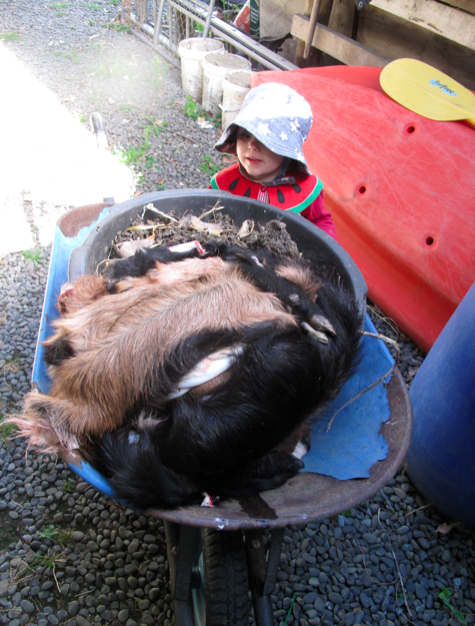 Simon had no use for the hides so we decided to return them to the earth via our compost pile. 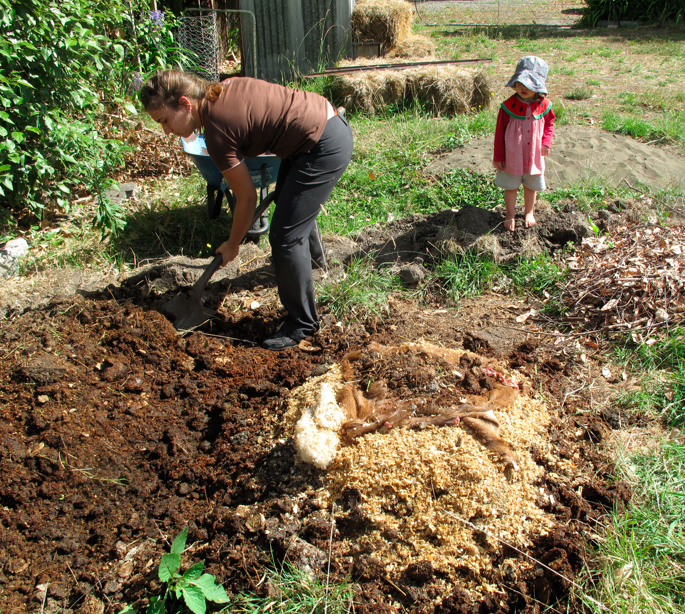 We layered up plenty of wood shavings and sheep manure to ensure a very hot compost – over 60 degrees Celcius. 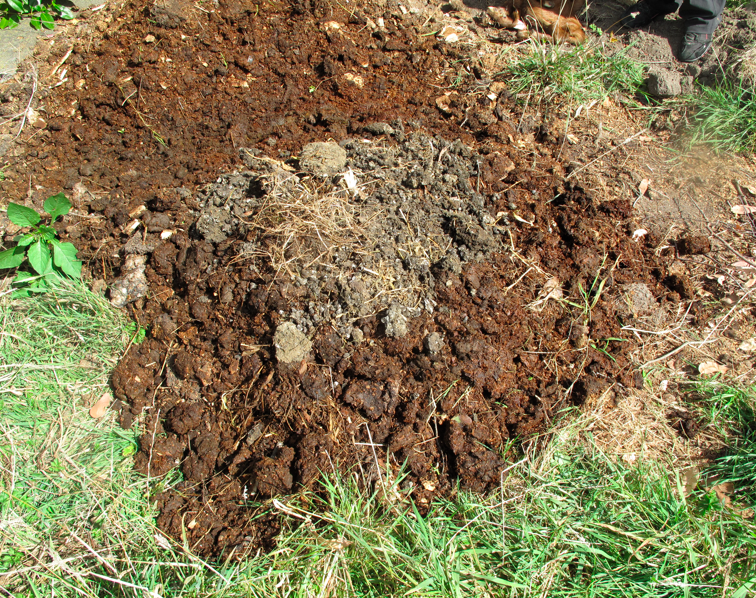 The pile is well over one cubic metre and should make a beautiful compost in about three weeks time. Love it, did the meat have a strong flavour? Back to the earth good use of wild animals. 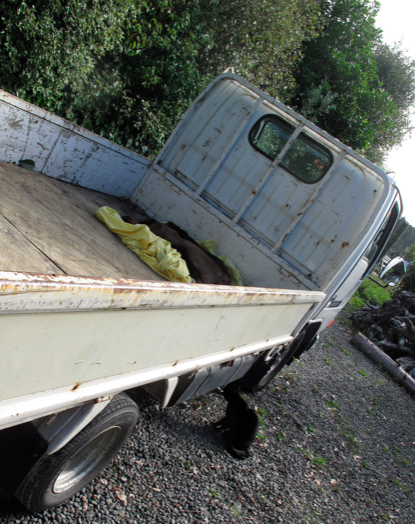 Photos tell a story eh? Can you use the sola oven in winter?